Needing a global website localisation? This is possibly one of the most affordable and profitable investments that you will make in the medium/long- term. Internationalising your company is one of the main solutions put forward by economy experts to make your company grow. Increasing your client portfolio is crucial to improve your presence and productivity. The entire world learns about your company through your website. The image which your global clients have of you is the one you convey through your website (including other languages). A translated website multiplies your global market by the hundred. “A serious, professional and responsible company! We have worked with them for several years and will work again with them. They are always thinking about how to improve”. Approximately 90% of users spend most of their time browsing through pages in their own language. 60% of online buyers buy from websites in their own language. 100% of Internet users stay more time on pages that they can read in their own language. The longer the time they stay, the more likely final conversion is: the purchase of your company’s products and services. 1. You will reach hundreds of millions of clients who don’t speak your language. How many additional revenues for your business would this generate? 2. You will project a good image as an international, strong, consolidated company in the market. 3. You will very quickly capitalise your investment in communication and development. 4. You will shore up your company’s internationalisation strategy as well as your virtual communication strategy. How can we help you with website translation services online? 2. A team of native professional translators, specialised in your industry, will translate the texts without changing the internal code, so that the effectiveness of the message conveyed in your own language is guaranteed. 3. A team of testing experts reviews the functionality and integrity of the translated versions of your website. We adapt language to the local idiosyncrasy of every territory and culture to the expectations and habits of those millions of people who will tomorrow become part of your client portfolio. 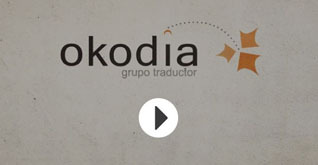 Do you need a translation agency for your website? Look no further. You have reached the right place. Let’s talk now.